Go the F–k to Sleep is available for free download right now. 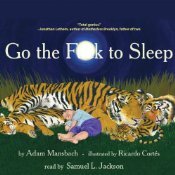 This E-Book is narrated by Samuel Jackson and is known to be hilarious. See, didnt you know that Samuel L Jackson is in everything? You can get “Go the F–k to Sleep” here. 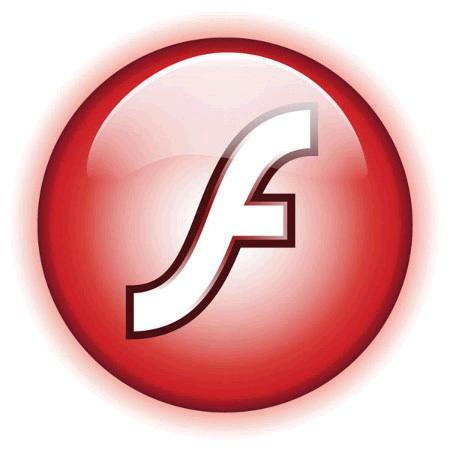 Flash 10.2 has a huge amount of enhancements that you are going to want to know about! The most noteable is how the new API which promises as much as 34 times more efficiency. This is due to a new API that Adobe has just recently created. It promises to increase hardware acceleration and decrease the load on the CPU. This results in better performance and less battery usage. But that is not all, Adobe really went above and beyond and did some more changes and updates. You can read more information and download the Flash 10.2 Update here. Firefox has released Beta 11 of Firefox 4.0. Recently confirmed by Mozilla, there will be 12 Betas total. If you have not updated lately and are a Firefox 4 Beta User then I suggest you do. It usually takes a few days for all of Mozilla’s download mirrors to update, but you should be able to get it now. You can download Firefox 4.0 Beta 11 here. If the download doesn’t load or redirects to a “Page Not Found”, go back and try again. There are literally a ton of different mirrors that the page will automatically try to pull from and not all of them are updated. Despite Mozilla claiming that they will not “add” anything… they went ahead and did. In this new iteration you will find a “do not track” option. You can find this capability and enable it by going to the “Advanced” screen of Firefox’s Options. As you know, this has been a very hot topic lately because advertisers and publishers are worried that they will receive less income as a result. This essentially stops ads from finding how what other sites and items you might have visited, prompting ads related to you. Personally, as long as this is not enabled by default, people who would go out of their way to find this option are more than likely to have an ad blocker anyway. AMD Catalyst 10.12 was released today. There are two different releases. One release has a preview of the new Catalyst Interface that will go into full fruition in 2011. The other version will have the current Catalyst Interface. The new interface promises to be easier for novice users to make changes. With that said, both versions promise error fixes and performance enhancements. You can download ATI Catalyst 10.12 here. If you have the infamous “Catalyst Install Manager has stopped working” error message, click here to learn how to fix it. ATI has released version 10.11 of Catalyst. These drivers incorporate the hot fixes from 10.10e as well as additional features such as error fixes with Windows 7/Vista and the aero theme, World of Warcraft Fixes, and additional driver support. You can download Catalyst 10.11 here. I would recommend you stay up to date. Remember if you get the error message, “Catalyst Install Manager has stopped working” while trying to install the updated drivers, then refer to my “Catalyst Install Manager has stopped working” article to fix the problem.